In my opinion, there is nothing in the culinary world as satisfying as cutting into a steak, and seeing that you've cooked it to perfection. Even if you're one of those bizarre people that prefers their steak medium or well done (hey, no judgement... okay, fine, a little bit of judgement), it's culinary heaven when you realize that you achieved the perfect doneness on your steak. Cooking a steak to the perfect doneness is satisfying because it's not easy to achieve, and something that most home cooks (and many restaurant chefs) struggle with. And while they make thermometers for aiding you in your quest for a perfect steak, I'm here to teach you a much better tool for determining doneness: your hand. Why Not Just Use a Thermometer? There are a handful of reasons why it's better to use your hands to determine the doneness of your steak. First, thermometers can be expensive, especially if you want a really accurate one. If you don't have a thermometer, you can save money by never buying one, while also knowing that you'll never need a thermometer if you're cooking at a friend's house. Most important, however, is the fact that a thermometer punctures your meat, which allows a large amount of juice to escape. When you're dealing with a delicious steak, the last thing you want to do is dry it out. And yet, my favorite reason for eschewing the thermometer isn't practical at all. I like to use my hand to determine the doneness of a steak because it's badass. When you have a friend over, and you're making them a steak, you'll look incredibly cool if you can provide a perfectly cooked meat without pulling out any specialty gadgets. 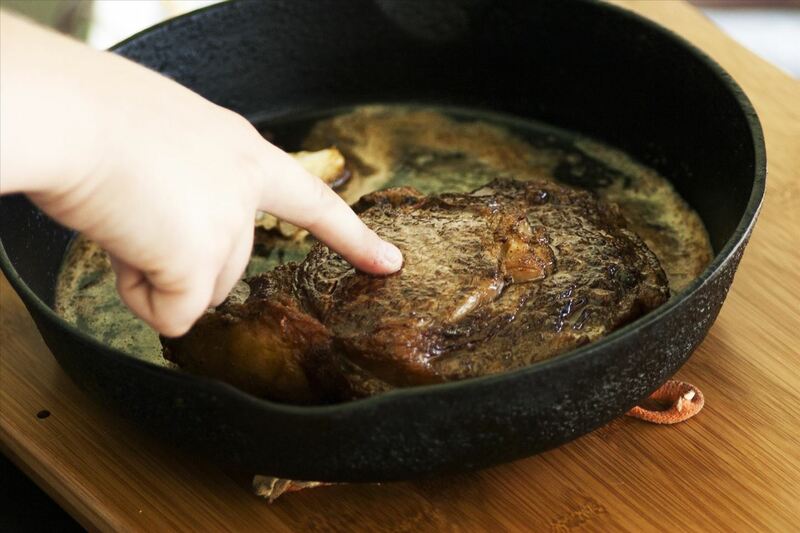 Using your hand to help you cook a steak perfectly is actually quite simple. 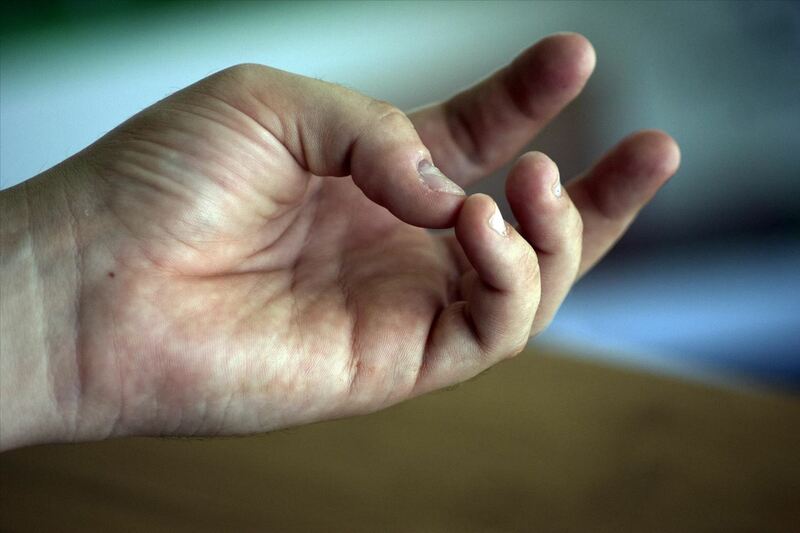 The soft part of your palm, underneath your thumb, can be used to match the feel of steaks at different temperatures. 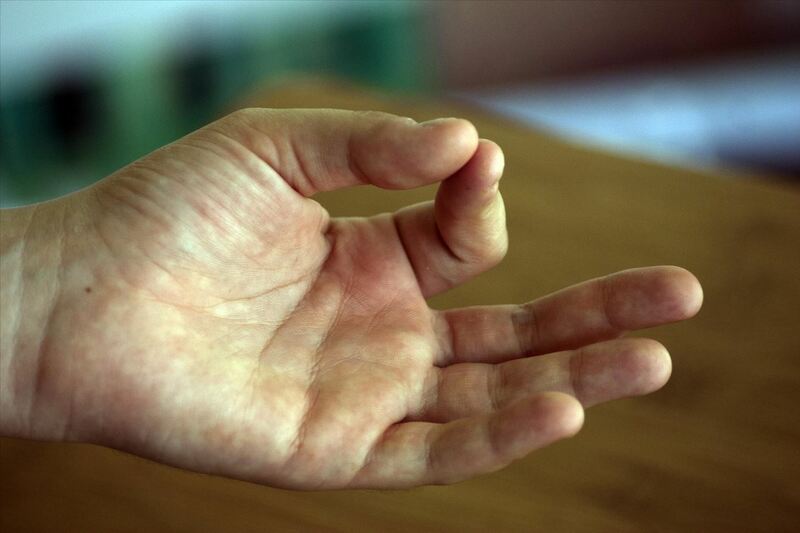 Try opening your palm, and poking that part of your hand (make sure your hand is relaxed, and not tensed up): it should feel fleshy and loose, pretty similar to a raw steak. 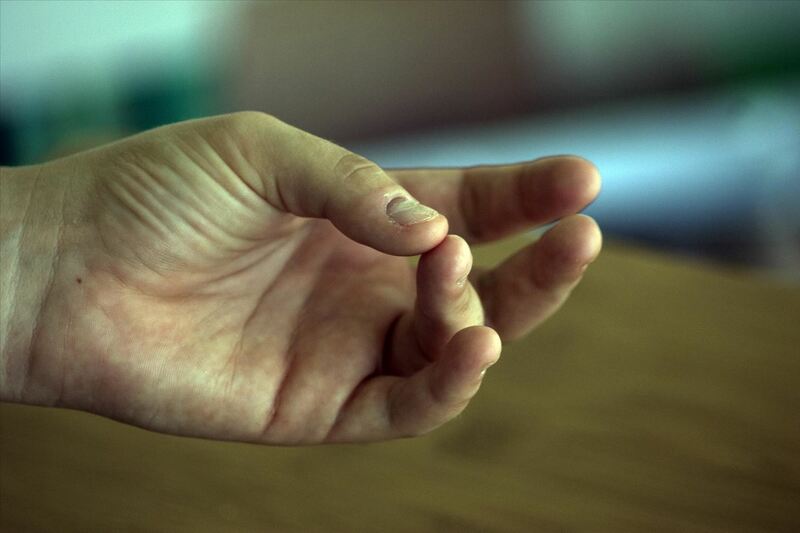 Now, touch your thumb to your index finger. You'll notice that that patch of skin is a little more firm; that is the same feel as a rare steak. 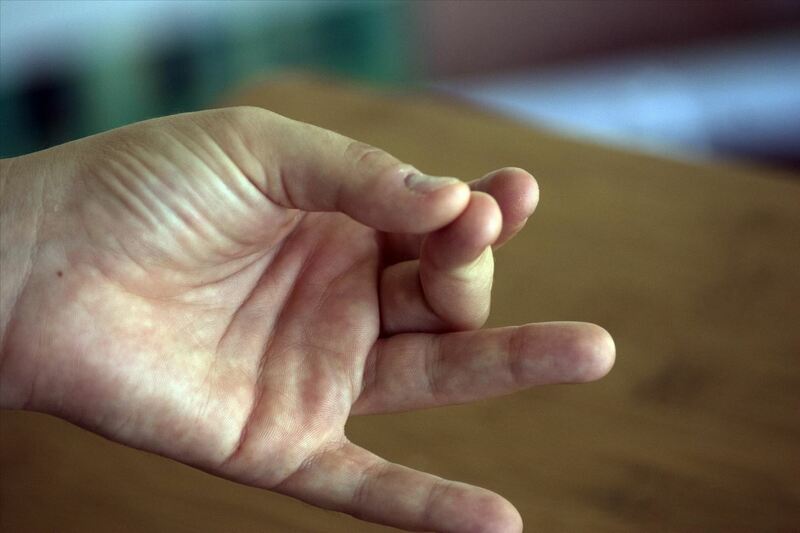 Now touch your thumb to your middle finger, and you have a medium-rare steak. Your ring finger represents a medium steak, and touching your thumb to your pinky—which you'll notice produces a very taut result—is a well-done steak. To get a perfect steak, simply poke it while it cooks, until the firmness of the meat matches the firmness of various parts of your hand. It may take you a few tries to get this down pat, but once you do, you'll cook perfect steaks every time you try. There are a few things to keep in mind when using the hand technique for cooking your steak: steak should always be rested before it's sliced, but it will continue to cook while it rests, so adjust accordingly. 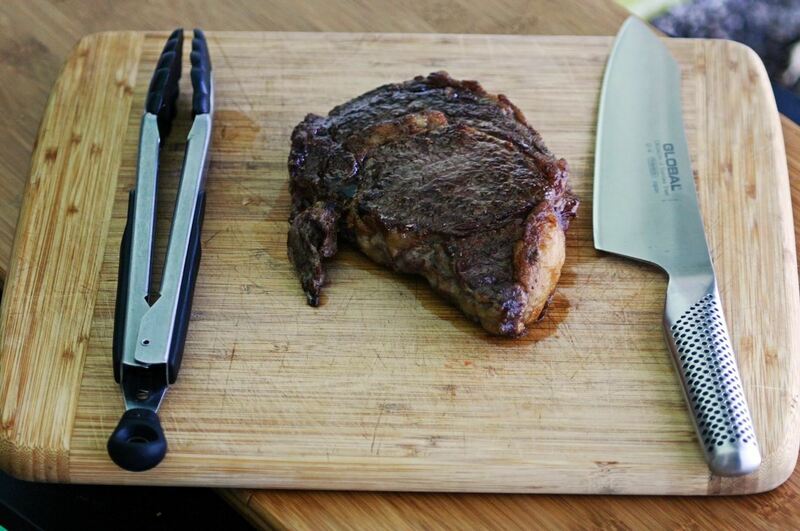 And if your steak is not cooked or sliced evenly, be aware that it may feel firmer on one side than on the other. Happy cooking, and happy steak eating!